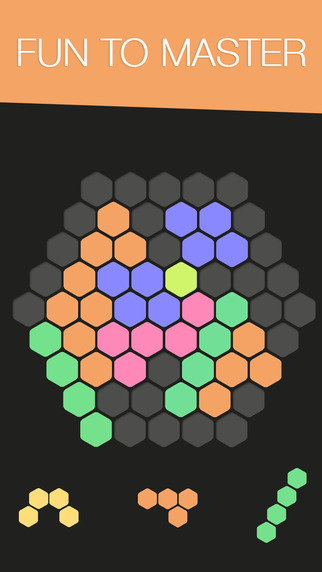 Hex FRVR by FRVR is an easy to understand yet fun to master puzzle game. 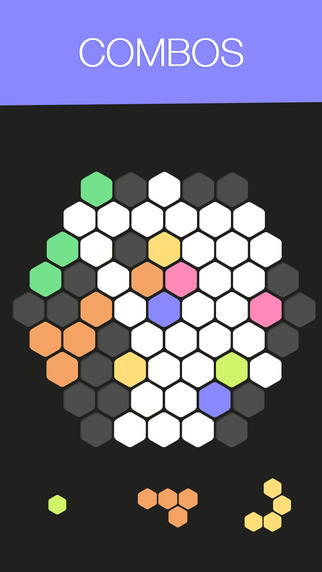 The unique hexagon puzzle board is a fun challenge for even the advanced puzzle addict. 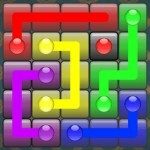 Create and destroy full lines on the screen in any of the primary three directions by dragging and dropping blocks to the screen and get amazing combo bonuses by destroying multiple lines at the same time. No time limit! A fun and relaxing puzzle game. If you don't start planning where you put the blocks early, after a while, you'll find yourself stuck pretty quickly. Once you don't have any moves left, the game is over. Overall, Hex FRVR is a definite keeper. When you are addicted to a game that is so simple that it doesn't have a tutorial, you know that you are playing a quality game!